NEW PRODUCT – LittleBits Sequencer Module « Adafruit Industries – Makers, hackers, artists, designers and engineers! 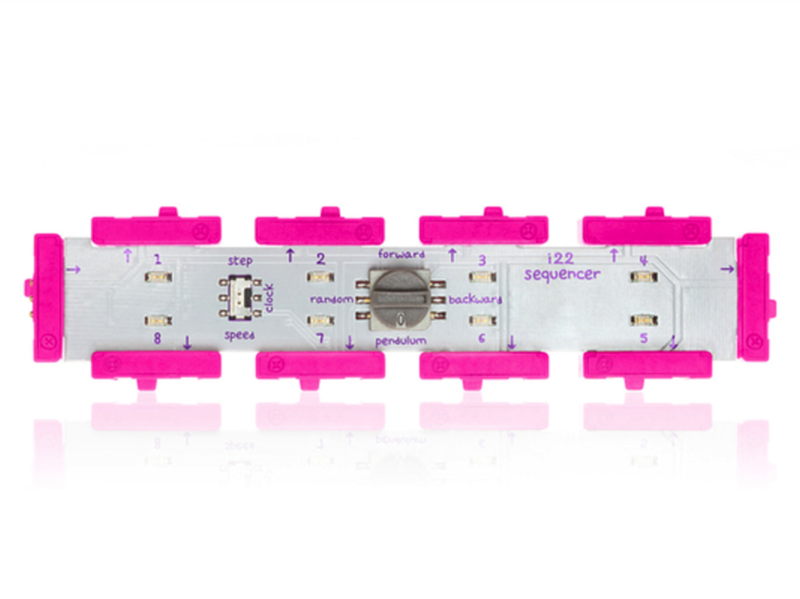 The littleBits Sequencer Module lets you connect and control sequential patterns with their small, snappable board. Within seconds, you can have eight sequences up and running – a feat that might take hours of programming but littleBits makes super easy. The Sequencer can run four ways – forwards, backwards, pendulum or random – and you can swap automation for full control using a button, sound trigger, or high signal input. LittleBits offers up two great examples of the sequencer’s capabilities with the Drum Pattern Sequencer and the World Cup-friendly Neon Sequencer Sign. This is just the littleBits Sequencer itself and doesn’t include any output modules.